Along with “Fix the damn roads,” it was a signature promise of then-Democratic gubernatorial candidate Gretchen Whitmer. “We need to repeal the retirement tax. Our seniors deserve better,” she said weeks before the November election, repeating a vow she made countless times throughout her campaign. As she settles into the governor’s seat, Whitmer will get a chance to put political muscle behind efforts to kill the controversial tax that GOP Gov. Rick Snyder signed into law in 2011. There are pending bills to do just that in both the state House and one in the Senate introduced Jan. 15 by Sen. Tom Barrett, R-Charlotte. “Michigan seniors deserve better than to have the state continue to tax their pensions — especially the retirees who did not anticipate the new tax during the heart of their working careers,” Barrett said in a statement. Some analysts say repeal of the tax might be a relatively easy political win for Whitmer, given strong Democratic opposition to the tax and grumblings from Republicans such as Barrett. But if it’s repealed, a tricky unanswered question looms: How would Whitmer make up more than $300 million a year in lost revenue? There’s also Whitmer’s campaign promise to put $2 billion in tax dollars in a state infrastructure bank to repair Michigan’s decimated roads, and leverage extra money from Washington. She has not yet offered specifics on how she might raise the money each year, aside from asking the Legislature to raise user fees for roads or, if lawmakers refuse, asking statewide voters to approve a bond. Even if the state hikes vehicle registration fees 20 percent, that would raise $200 million a year, far short of what Whitmer’s roads plan needs. She’s vowed to stop funding community colleges and public universities from the nearly $14 billion School Aid Fund, a practice former Democratic Gov. Jennifer Granholm started in the 2010 fiscal year that was later continued by Snyder. School Aid mostly pays for K-12 public schools, but more than $900 million this year is going toward higher education. Whitmer opposes the diversion, saying she believes the fund is intended to solely pay for K-12 schools and that college funding needs to come from another source. But she has not clearly spelled out what that source might be. Then there’s the fiscal reality that hundreds of millions in additional dollars from the $10 billion general fund are already spoken for as part of a 2015 road funding plan. In the fiscal year that starts Oct. 1, 2019 — Whitmer’s first budget — $325 million in state income tax revenue automatically will be diverted to pay for roads. That amount climbs to $600 million when fully phased in by 2021. Despite those hurdles, the fact that Democratic lawmakers in both chambers voted unanimously in 2011 against the pension tax suggests Whitmer will get strong support for repeal from within her party, which accused Snyder at the time of funding big business tax breaks on the backs of seniors. Republican lawmakers, who still control both the House and Senate, are another matter. Leaders of each chamber issued sound less than enthusiastic about repealing the pension tax. That was Snyder’s selling point as he pushed the tax. He argued it was fair to ask future retirees to help pay for services all residents use and that the tax measure would help keep young people in the state. Snyder needed the pension tax revenue to make up part of the revenue lost in the $1.65 billion business tax cut he also signed into law in 2011. He also signed measures to reduce low-income tax credits and homestead property tax credits and eliminate a number of other tax credits including those for donations to colleges, community foundations, public libraries, museums and homeless shelters. 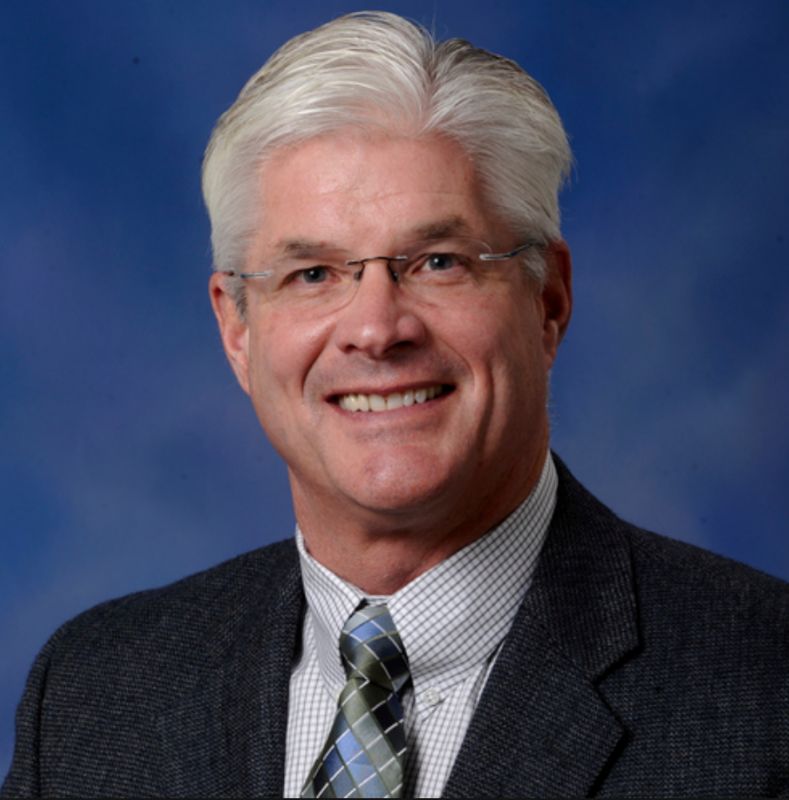 Shirkey voted for the pension tax as a member of the House, echoing Snyder’s economic argument at the time of passage: "We're making the tough decisions now to allow future generations in Michigan to grow and thrive." The pension tax was phased in, with those born before 1946 exempt. Retirees born from 1946 through 1952 are only taxed on pension benefits that exceed $20,000 for a single filer or $40,000 for joint filers. Retirees born after 1952 are taxed on all their pension benefits until age 67, when they can exempt the same amount. A retired couple born after 1952 collecting pension benefits of $48,000 before age 67 would pay $2,040 more in taxes a year under the pension tax law. 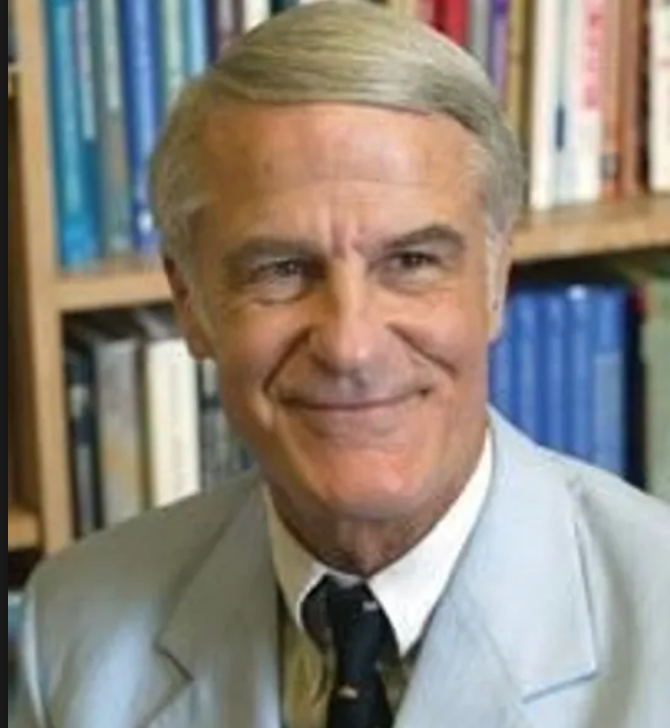 Jim Stansell, senior economist with the House Fiscal Agency, estimates the tax raises about $330 million a year and lands on anywhere from 500,000 to 1 million Michigan taxpayers. Among those it hits is 70-year-old Diane Lange of East Grand Rapids. A retired rental property owner with a pension of about $27,000, she said she’s been paying the tax since 2012. “I can’t say, ‘Oh my God, I’m broke because of this,’” Lange said, estimating the tax costs her about $300 a year. But given that she still owes $95,000 on her mortgage, Lange said, any added tax can be a burden. Eight years ago, it wasn’t an easy sell even with Snyder pushing hard for passage and a GOP majority in both chambers. 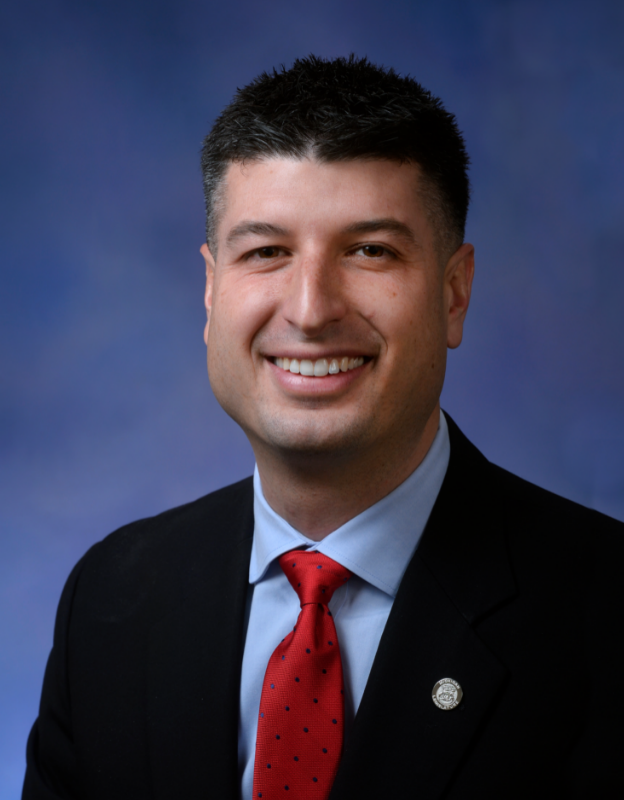 Seven Republican senators peeled off from Snyder to vote against the tax – joining all 12 Democratic senators, including then Senate Minority Leader Whitmer. GOP Lt. Gov. Brian Calley cast his vote in favor to break the 19-19 tie. The margin in the Senate is now closer, as Democrats picked up five seats in the November election to narrow Republican control from 27-11 to 22-16. If all 16 Democrats and GOP Sen. Barrett vote to repeal, Whitmer would need just two more Republicans to join them. That would allow Democratic Lt. Gov. Garlin Gilchrist to break the tie and repeal the tax – just as his predecessor had in passing the measure. The GOP margin in the House also narrowed this legislative term, from 63-47 before the election to a 58-52 advantage. Democratic Minority Leader Christine Greig of Farmington Hills expects her caucus to push for repeal. “This is something Democrats have been campaigning on for a long time,” she said. It’s not expected that a repeal of the tax would come up for a floor vote until after Whitmer’s State of the State address Feb. 12 and delivery of her budget proposal, expected in early March. And many analysts expect Whitmer to focus first on her ambitious promise to fix the roads. Given Majority Leader Shirkey’s skepticism about repeal, Republican consultant Steve Mitchell said it’s unlikely the Senate will vote for repeal. Ken Sikkema, a former Republican lawmaker and senior policy fellow for Public Sector Consultants, agrees that pension tax repeal will likely take a back seat in the early days of Whitmer’s administration. Your constant referring to a "Pension Tax" is in fact incorrect and makes Bridge just as duplicitous as our crappy politicians. You well know there is no pension tax anymore than the federal government has a "Pension Tax" or that somehow Michigan has instituted a "Puppy Tax" or "Garden Stand Tax" because income from those activities is taxable! Income is income, and we can be certain that as generally predisposed to taxes as is Center for Michigan, you know all this. The question comes down to whether Michigan is going to treat all income as subject to tax or we're going to create exclusions for favored voter classes and interest groups. Referring to a "Pension Tax" is just a propagandist tactic to create confusion that Bridge purports to try to remedy. Matt I beg to differ with you. As a senior I am taxed on income and I am now paying additional taxes at the years end. I was always given a refund from my Michigan Taxes for many years. But now I am paying additional taxes. So who are you trying to kid? Instead of giving large corporations tax breaks and the influential friends of our legislators, lets give the seniors a break for a change. We've worked hard and saved for retirement and don't believe I should subsidized this lame state government any more then I have to!!!! Nick, not meaning to be rude but you clearly do not understand tax and pension laws. You are not paying additional taxes, you are paying state taxes on the income you receive from your pension. There is no additional "Pension Tax". And the fact is you never paid taxes on the funds put into the account that now pay your pension and now you want this income to be tax free, (Except it is subject to Fed'l income tax!). We all love tax free income but that changes nothing. Seniors in fact receive huge benefits from the state, Medicaid pays piles out to nursing homes. Too many of us love all kinds of benefits but want them to be paid by someone else. Where am I wrong? Actually pension is not earned income per IRS. Earned income is specific income items including wages or salary, commissions and bonuses, as well as business income net of expenses if you are self-employed. So it is a tax and was done to give a break to business. It had nothing to do with fairness. And the methodology didnt work. “Young” people didn't stay. Many retirees left also. The 7 percent “match” for state workers 401k’s would be a great cost savings for the state if decreased or better yet omitted (taxpayer subsidizing state workers retirement). Billions wasted every year for well-payed workers who SHOULD be funding their own 401k’s. Whether pension income is earned or not has nothing to do with issue. The question is whether pension retirement plan income should be tax free when almost no one else receives this bene. The federal tax code says NO, in Michigan Democrat's (and some Republican's) efforts to curry favor with selected voter groups they arbitrarily decided it should. The supposed break to business you refer to was eliminating the SBT, an additional special tax over and above the income tax the every business (currently at 6% vs. 4.25% for individuals) was and is subject to and had the effect of chasing businesses out of the state - speaking to part of why our young people were leaving! For the 2019 fiscal year, tax collections could bring in an additional $182 million more than expected, Michigan economists discovered in May 2018. So I believe that alone proves costly mistakes in Snyders math that has penalized seniors. Yes, there are a minority of states that do not tax pensions. Demographically those states are thriving. I again mention that Michigan taxpayers SHOULD NOT be subsidizing state workers pensions by the State of Michigan MATCHING 7%. If taxing senior pensions is FAIR then so is negating this expensive practice. The state of Michigan had 46,824 full-time employees on its payroll in 2017. On average, the total compensation for a state worker, including salary and benefits, was $118,860 in 2017. For example lets just say wages of 80k x 7% match. $5600 match x 46,824 employees=$262 MILLION. That could be used for roads etc. Why is this not being addressed? True, some private companies match but this is a public institution. The money is so big that the state has its “own Fidelity or Vanguard”, the Office of Retirement Services. Lets find some true solutions and help this state. The compensation of or retirement arrangement of state workers wasn't the subject of this article. It was whether certain favored groups should have special tax favors. Matt-- Michigan has a certain favored group right now whose pensions are not taxed, when they are taxed by the Federal Govt. Do you know what this group is? Actually, the recommended adjustment to the May 2018 consensus estimates for FY 2018-19 was about $265 million. However, the adjustment to individual income taxes was only about $43 million (roughly a 0.5% adjustment against total income tax collections), and due primarily to expected increases in annual payments. Given that most retirement income is subject to required minimum distributions and relatively predictable, this isn't the source of the adjustment. The most significant adjustments were to sales and use taxes (due to the Wayfair decision which hadn't yet been handed down in May 2018) and direct business taxes (the Michigan Business Tax and the Corporate Income Tax), which are projected to increase due to higher than expected profits. I wonder if anyone will pick up previous Representative Jeff Noble's bill to allow a property tax exemption for disabled service members equal to their percentage of disability. After all, those disabled in service to their country have already paid a high price. It seems like they are also the easiest to forget at any level of government. As a retiree, I don't object to paying my fair share in taxes to support the public good. What I do object to is the dishonesty of the Snyder administration and the Republican legislature when they imposed the entirely-new taxes on retirement incomes, which had been previously barred by the state's constitution. Throughout our working careers we negotiated our contracts in good faith, with a responsible eye toward securing our financial lives in retirement. One of the arguments that was always thrown down as a trump card against any improvements we might ask for was that fact that our pension income was constitutionally protected from being taxed by the State of Michigan. That was a promise that we were forced to acknowledge and to rely upon, which arguably tempered any improvements we could bargain for. Then, along came Governor Snyder and the Republicans, who apparently have no respect for constitutional guarantees to workers, who pulled the fiscal rug out from under Michigan's retirees. The argument that the new tax was to create some incentive for younger workers to remain in Michigan by having those in retirement pay a greater share of taxes is fallacious. I don't know how many people have ever viewed Michigan as a "retirement destination", moving here from other states in order avoid taxes on pensions that might have been earned in other states. If anything, Michigan's climate seems to encourage the opposite: migration of retirees to warmer places. As retirees, we have no ability to go back an renegotiate agreements that relied upon the guarantees that the Snyder/GOP folks stripped away, even though those agreements hinged on a constitutional promise. Snyder/GOP spent that windfall greasing the palms of business, at the expense of retirees on fixed incomes. Maybe some of that $300 million should be clawed back from a portion of the $1,650 million that was handed to business? Yes, protect the $300 million taxed on Seniors with a fixed income. We have a low state income tax, we have a nightmare for road funding yet we give it away to large businesses and the wealthy, neither which see the attractiveness of moving into the state. GM has been in exodus for 40 years and has decimated Flint, Detroit, Pontiac and Saginaw. Good Luck Gretchen, you have taken over a state destroyed by promises to the rich made good by policies enacted against the residents. REPEAL the tax on Seniors. FIX the roads. Put EDUCATION on the curriculum. PROTECT the environment. These are the stated priorities and the budget will have to adjust to pay for them. We can't continue to operate a boutique tax structure for the wealthy and business and not have a cash resister at check out. By the way, check the GDP of Michigan against the Sales Tax. I can guarantee we are losing more than $300 million in Sales Tax that is just not being collected. Could someone please define what “pension” means in the context of this article? Is it only state pensions and other public sector pensions, or does it include private pensions or distributions from a 401k, etc.? Why should seniors (I am one) not pay taxes based on our annual income no matter the source, after all we use services just like everyone else. Why should I ask my kids to subsidize me? We need to have a simple plan...no tax on income up to the poverty level, flat rate on all income above poverty level, and the elimination of all tax credits, deductions and exemptions. And zero tax on business, without whom we would have no income in the first place. I think that's part of the confusion. A better term would be retirement income. Pensions (public and private), IRAs, and 401(k)s are all rolled in to adjusted gross income at the federal income, and as such carry through to taxable income. There are no broad exemptions for retirement income at the federal level. Federal AGI is the starting point for the Michigan individual income tax, so retirement income is included. Prior to 2012, there was a complete exemption for public pensions (federal, state, and local) due to the interpretation of article IX, section 24 of the Michigan Constitution. Filers with private retirement income (pensions, IRAs, 401(k)s, etc.) were given deductions of $45,842 for a single filer and $91,694 for joint filers. So, although private retirement was taxable, because of the generous deductions, a relatively small amount was actually taxed. So, there isn't (and never has been) a specific "pension tax." Rather, the base of the income tax was broadened to include most public and retirement income. Please note I'm not weighing in on whether or not retirement income should be taxed. I'm just trying to clarify the issue. All pensions are taxed, not just state. I'm a senior and the owner of a small business. Discussions like this that demonize businesses (the employer's of the world) raise my blood pressure a bit. I'm 73 and still working and paying taxes because I have too! I don't know, and never will know, what retirement looks and feels like. Those that have never had to worry about making the next payroll or funding the employee benefits they promised their employees during good times don't seem to have a clue what it is like to be a business owner. Many think that all business owners are rich and greedy. If my experience is typical, many business owner's earn less than many of their employees --- especially during hard times like 8 of the last 10 years. My retirement plan went up in smoke when the economy went south. I had a thriving business with 14 employees in 2000 that may have been worth something to a new owner now and I might have been retired. Then came the recession, and while government workers were complaining about having to pay a little more out of their paychecks for health insurance or getting no raises, I was making payroll by dipping into my personal savings to avoid employee layoffs, and going without paycheck after paycheck of my own. Now I'm the sole survivor of my business, and still working to survive. My personal income during some of those lean years was well below the poverty level. That is my personal story, but driving by all of the empty storefronts every day, I believe it may be true of many business people like me that must take risks and rely upon an unpredictable future. Many are left with no retirement funds at all and leftover significant debt from trying to survive a devastating recession. So it seems to me that all of you other seniors that have a retirement fund at all should be thankful to those of us in the private sector that paid all those taxes (and I'm still paying) and employed you during your careers and helped you fund your retirement plan so that you can have a retirement income today . . . taxed or not taxed. If senior pension tax is not repealed, she will never get my vote again. This is the problem, we retired with the belief that our pensions are not taxed. It had been that way the entire 32 years I worked for the state. After we retired the tax was levied. We were not prepared to pay 200.00 a month to anyone, let alone the State of Michigan who underpaid many of us and in one way justified it by exempting us from taxes on our pensions. If someone was already retired at the time when the law was passed they should've been exempted. Our budgets were already planned when we decided we could live off our pensions. This tax was an enormous hit to our budgets. I hope the repeal comes swiftly! If she doesn’t repeal the pension tax she can plan on one term.